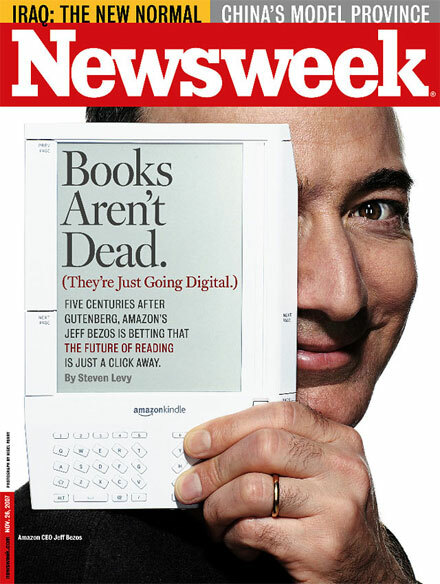 If you’re sick of hearing about e-Readers, then you might want to sit 2010 out. This coming year is going to be a “biggie” for the e-Reader market—more competition, more innovation and more daily tech updates on these literary devices. And it looks like today a new contender in the e-Reading game has stepped into the spotlight. Magazine and newspaper giant Hearst Corp. has been developing a digital content publishing and distribution service called Skiff for the past few years, and Hearst says this company will be ready to break onto the scene in 2010. The company reports that the Skiff service and digital store will feature a grand selection of newspapers, magazines, books and other content from multiple publishers, uniquely optimized for wireless delivery to devices and delivery via the Web. Apparently Hearts Corp. has been trying to support and invest in new technologies for some time now, but nothing was much of a fit until—of course—the digital reader came out. How appropriate for a publisher to choose that type of tech. Skiff says it is working with major consumer electronics manufacturers to integrate Skiff’s service, digital store and specialized client software into a range of innovative devices. The company says it has signed a multi-year agreement with Sprint to provide 3G connectivity for Skiff’s dedicated e-reading devices in the United States and plans are underway to have Skiff readers available for purchase in more than 1,000 Sprint retail locations and online at sprint.com. Skiff promises better graphics and better layouts of digital content, butthat said, it’ll probably open up more windows for advertising and higher-priced content.